I am back! 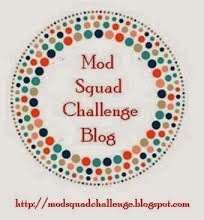 With another mini for Mod Squad! and the sentiment is from You Make Me Smile. The card measures 3 1/2 square. so I laid it down so you can see the black edge inside the card. Thanks for stopping by! I so appreciate you and I am not sure I tell you often enough! Hope you have a wonderful day and find time to be creative! Categories: Cards | Tags: Card making, Cards, friendship, Gina K designs, rubber stamps, stamping, Thinking of you | Permalink. Love the border edge and also that pretty diecut. The colors look great together. So Pretty and I LOVE the Victorian edge! Great color combo, too! Such a sweet card! I love the decorative edge and those scrolly butterflies…so cute!